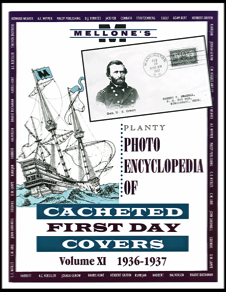 We're pleased to offer select volumes of the out-of-print Photo Encyclopedia series covering the classic cachet making period of cacheted First Day Covers, 1923-1939. Each catalogue of the series is profusely illustrated with hundreds of photo illustrations, and accompanying cachet identification of known cachet makers as well as current market prices. The entire series uses unique catalog numbers that are known as Planty or Mellone numbers. 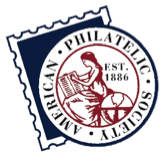 This standard cachet numbering system has been used for many years by collectors, dealers and auction houses around the world. Price: $19.95 per volume (standard binding) or $22.95 (spiral comb binding), depending on what remains available. and $2 for each additional volume ordered. Free shipping to a U.S. address when you order 5 or more volumes. Volume I, 1901-1928, (Sc. #294-645 and C3-C10 & E15). Volume II, 1928-1929, (Sc. #645-681 and C10A-C11; QE1-QE3; U522a & UC1). Volume III, 1930-1932, (Sc. #682-715 and C12-16). Volume IV, 1932 (Sc. #716-724 and C17; U436, U437, U439a, U523-U531). Volume V, 1932-1933 (Sc. #725-731 and UC7). Volume VI, 1933-1934 (Sc. #732-738 and C18). Volume VII, 1934-1935 (Sc. #739-771 and C19, CE1 & UC3). Volume VIII, 1935-1936 (Sc. #772-775 and C20; CE2). Volume IX, 1936 (Sc. #776-778). Volume X, 1936 (Sc. #782 -784). Volume XI, 1936-1937 (Sc. #785-794 and C21-C22). Volume XII, 1937 (Sc. #795 -798). Volume XIII, 1937-1938 (Sc. #799-802 and C23). Volume XIV, 1938 (Sc. #803-834; 839-851; 835). Volume XV, 1938 (Sc. #836-838 and C24). Volume XVI, 1938 (Sc. #852-854). Volume XVII, 1939, expanded deluxe volume (Sc. #855). Volume XVIII, 1939 (Sc. #856-858).